There are some useful reports in SQL Developer that give you an insight in your APEX applications. Click on the Reports tab in SQL Developer and open the Application Express folder. There are many reports, for example the Application Statistics you see below. 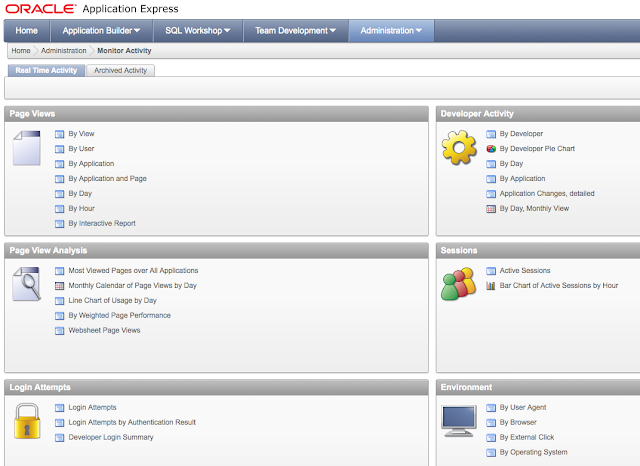 In the first grid you see all the applications of your workspace (linked to the schema you are logged in as). If you click on an application, the detail tabs load. 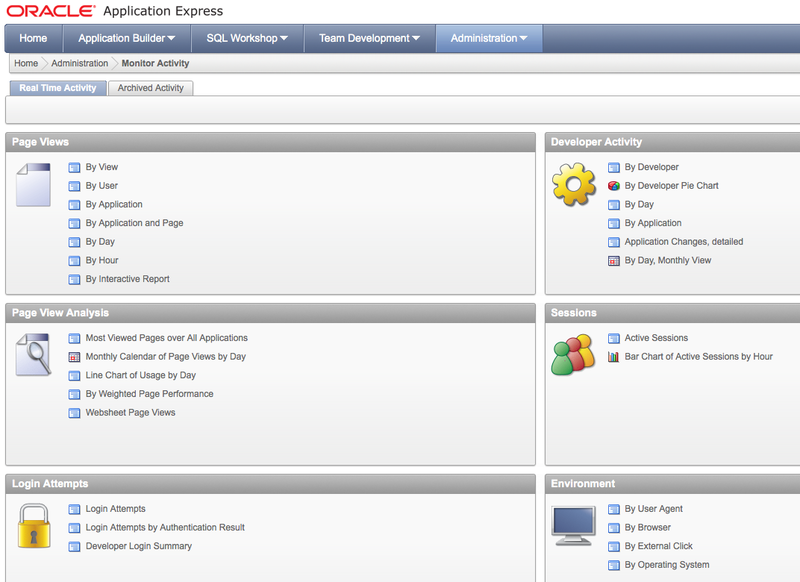 In APEX you have a lot of statistics about your application too (see below screenshot of the Monitor Activity screen). 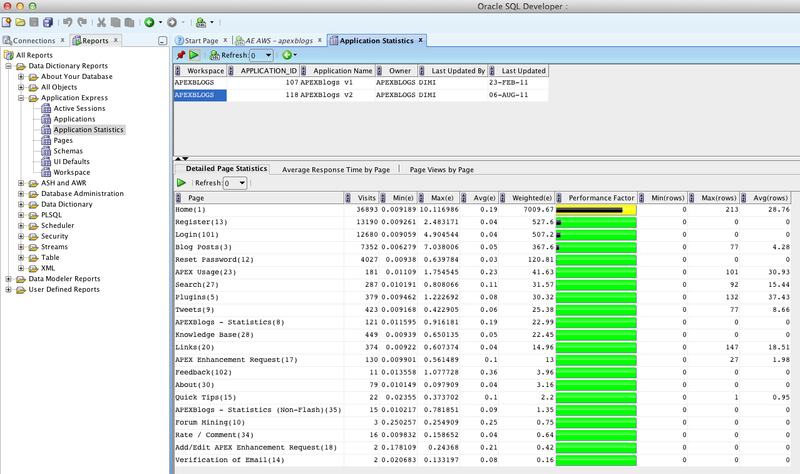 If you want to navigate across applications, the SQL Developer reports are really useful as it's very fast to navigate. Both APEX as SQL Developer have their strengths. If you can't find the information you need, you can also write a query yourselves based on the APEX dictionary.